15 day Treasures of China & Yangtze cruise with return flights, transfers, accommodation, meals, in-depth sightseeing, tour guides and more. per person twin share |	Typically $5,207! It’s not just the seamless co-existence of modernity and antiquity that makes China so intriguing. It’s the people, the pace, the landscapes and the sheer size of this ancient civilisation that attracts even the most timid of travellers. Here, there is something for everyone. There are buzzing cities full of endless development, peaceful water towns that have stood seemingly untouched over time and world-renowned sites like the famous Great Wall. Don’t just take my word for it, experience China for yourself with a 15 day Treasures of China & Yangtze cruise. Discover Beijing’s most famous landmarks, ride a bullet train, learn the history of the Terracotta Warriors, cruise the majestic Yangtze River and so much more. Depart Australia today on your international flight to Beijing! Upon arrival at the airport in Beijing you will be met by your guide and transferred to your hotel. Take some time to relax and prepare for your full day tomorrow in China’s capital. Beijing, China’s massive capital, has history stretching back 3 millennia. Yet it’s known as much for its modern architecture as its ancient sites such as the grand Forbidden City complex, the imperial palace during the Ming and Qing dynasties. After a delicious breakfast at your hotel set out with your tour leader to discover Beijing’s imperial treasures. Stand in Tiananmen Square, one of the largest and grandest public plazas in the world. 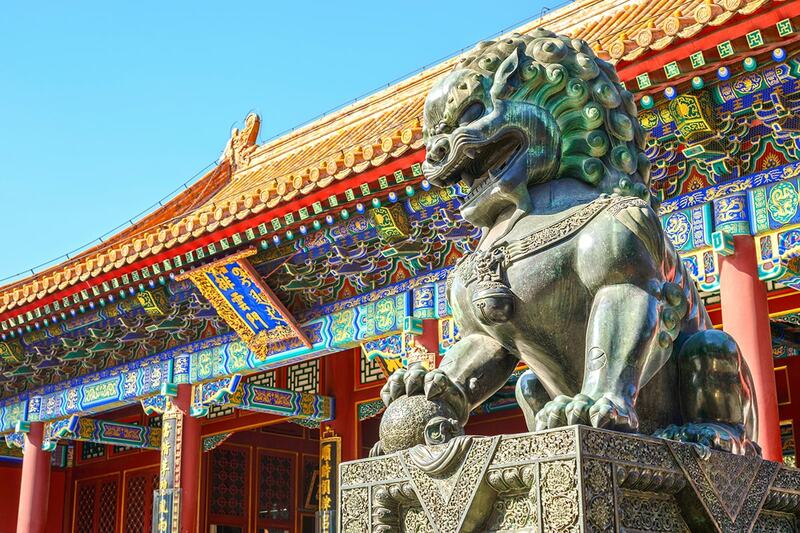 Enter the imposing walls of the Forbidden City, once the exclusive domain of the Ming Dynasty, for an extensive tour through this vast complex. Constructed from 1406 to 1420, the complex consists of 980 buildings and covers 180 acres. The palace complex exemplifies traditional Chinese palatial architecture, and has influenced cultural and architectural developments in East Asia and elsewhere. The Forbidden City was declared a World Heritage Site in 1987, and is listed by UNESCO as the largest collection of preserved ancient wooden structures in the world. Afterwards, visit the Silk Factory Outlet to learn about silk, the very trade item which started the famous Silk Road, and its delicate manufacturing process. Today, you will travel into the rugged mountain landscapes north of the city to the magnificent Great Wall of China. China’s greatest engineering triumph and must-see sight, the Great Wall wriggles haphazardly from its scattered Manchurian remains in Liáoníng province to wind-scoured rubble in the Gobi desert and faint traces in the unforgiving sands of Xīnjiāng. Once on top of this ancient defensive structure, you’ll find that some sections are quite steep, but the views are magnificent and the experience is truly unforgettable. Later, you will then learn about Jade, China’s most precious and celebrated stone, and its manufacturing process at the largest Jade factory in Beijing before relaxing with an oriental foot massage after a long day on the wall. In the afternoon we visit the 2008 Olympic Games sites including the iconic Bird’s Nest and high tech Water Cube aquatics centre. Optional Tour (additional cost applies): The Legend of Kung Fu Show—If you want to explore the real Chinese Martial Arts & culture, You can’t miss a great Kung Fu show – The legend of Kung Fu at Red Theatre Beijing. A high level performance with the wonderful story layout, perfect stage design, professional martial arts actors, and the real Kung fu actions and scenes. It’s truly unforgettable experience in China. Today you will board a high speed train to Xi’an. Travelling at up to 300km/h, they are a testament to China’s desire to be a technological power house. Watch as the Chinese countryside zips by before we roll into the walled city of Xi’an. On arrival you will be met by your tour guide and transferred to your hotel. You will have the evening to relax and prepare for your full day tomorrow. Once known as Chang’an (Eternal Peace), it marks the Silk Road’s eastern end and was home to the Zhou, Qin, Han and Tang dynasties’ ruling houses. You will appreciate the authentic lifestyles of the people of Xi’an and exploring one of the birthplaces of the ancient Chinese civilization. Today we explore the ancient wonders of Xi’an, and one of the greatest archaeological finds of the 20th Century. For a period of more than 1,000 years, Xi’an served as China’s capital city and remains home to a great number of precious relics and historical sites. 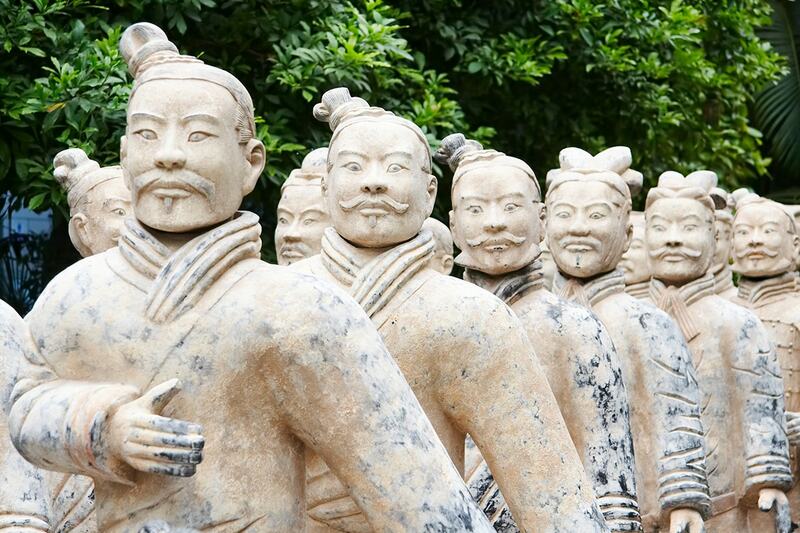 Your tour today will include a visit to the Terracotta Warriors and the lively Moslem Street. The Terracotta Warriors Site is considered the eighth wonder of the world and was discovered by accident in 1974. Here you will see the army of over 7,000 soldiers, archers, horses and chariots that has guarded Emperor Qin’s tomb since 210BC. Each figure is unique and the painstaking repair and evacuation continues to this day. After lunch, you will walk through the famous Moslem Street, where many souvenirs and delicious local snacks can be sampled. Here you must try Roujiamo – one of the most famous dishes of Xi’an. Optional Tour (additional cost applies): – Tang Dynasty Dance Performance – The Tang Dynasty Music and Dance Show, a wonderful performance of the ancient music and dance, is a must when you visit Xian. The show is an outstanding exponent of this ancient stable and prosperous society, keeping alive its splendid culture and providing an insight into the peaceful life style of the period. This morning is free to enjoy the ancient city of Xi’an! You may choose to explore this Ancient Capital at your own pace. 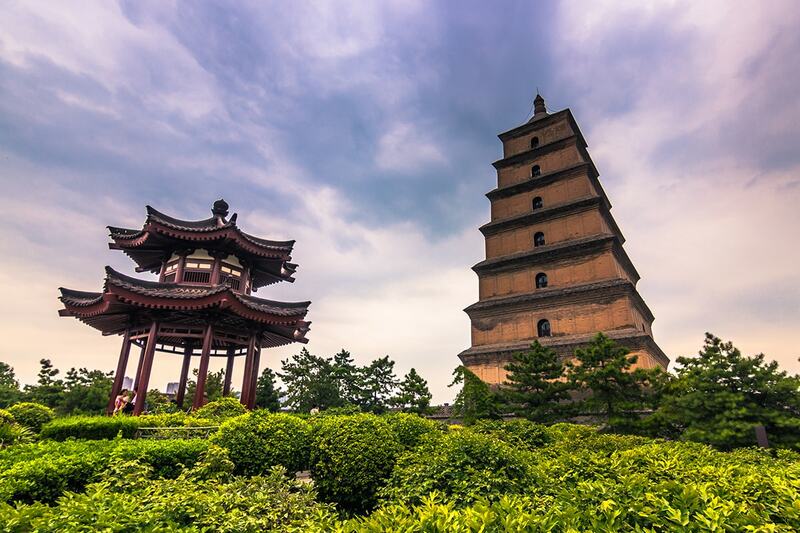 Optional Tour (additional cost applies): Wild Goose Pagoda & Ancient City Wall – The temple was originally used by a large team of scholars to translate the Buddhism Scriptures into Chinese and subsequently became a holy place for pilgrims. And continue on to the Provincial Museum, which documents China’s archaeological finds which date as far back as the Neolithic Age (20,000 years ago). 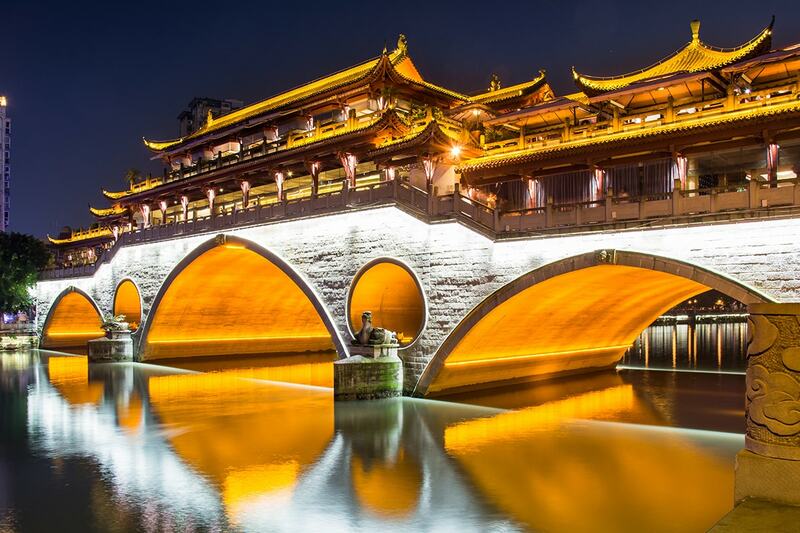 Your next visit will be to the Ancient City Wall, which was built in 194 BC and is the oldest and best preserved ancient city wall in all of China. Later, we board the ultra-modern bullet train to the Sichuan capital, Chengdu. On arrival you are met and transferred to your hotel where the evening is at leisure. 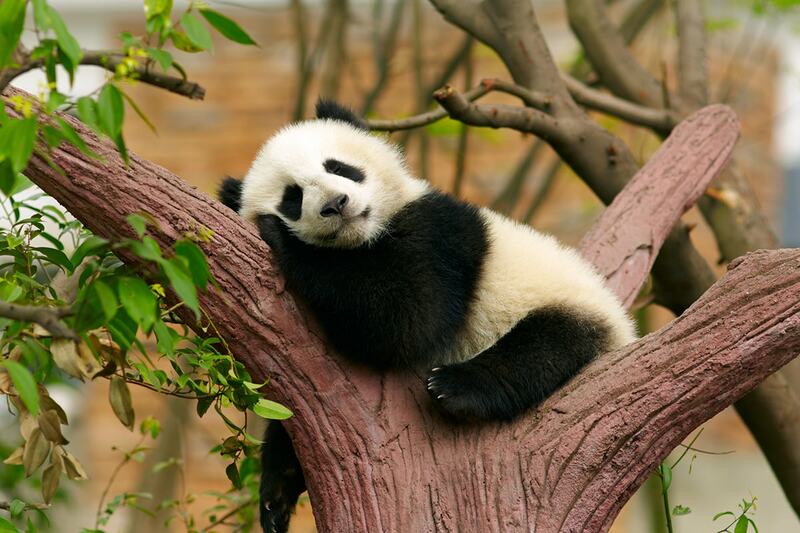 Today you will begin with a visit to the Chengdu Research Base of Giant Panda Breeding. 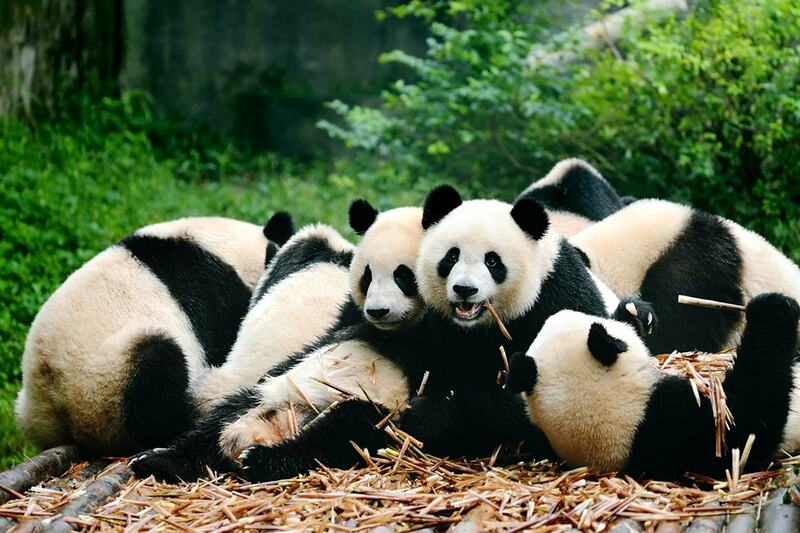 The Panda Breeding Centre first opened in 1987, and is a semi-wild area where the pandas are able to roam freely. You will then visit the Jinli Old Street, which was originally built as a commercial street during the Shu Kingdom (221 A.D.263 A.D.) and then adopted the traditional architectural style of Sichuan Province during the Qing Dynasty (1644-1911). 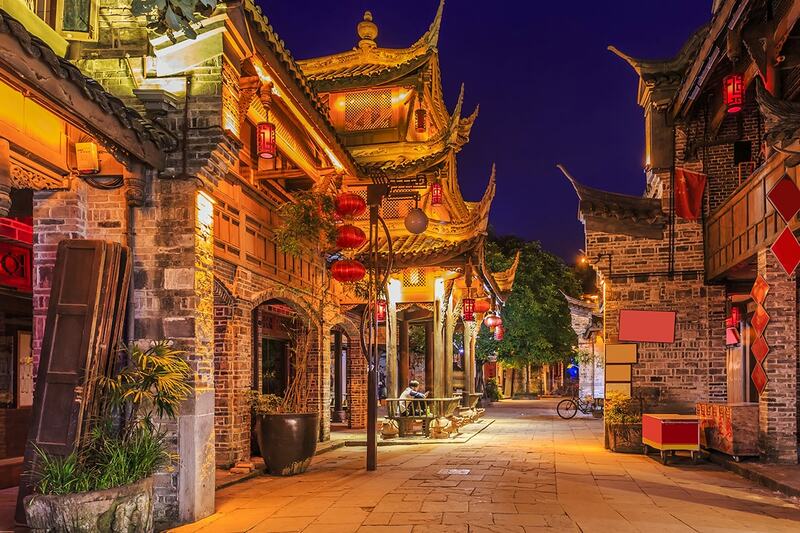 Jinli Old Street combines the essence of stepping back in time. Optional Tour (additional cost applies): Sichuan Opera—Enjoy an evening of Sichuan Opera, which is an important part of Chengdu culture. In addition to singing and martial arts, Sichuan Opera has many unique features that set it apart such as fire breathing, changing faces and juggling pottery. This morning we re-board the ultra-modern bullet train and make the trip to Chongqing (taking approximately 2 hours). Today we explore the city of Chongqing and visit the Ciqikou Old street where is located on a hill above the Jialing River in the western part of Chongqing city. Chongqing itself has undergone many changes over the centuries, changes that have not been reflected in Ci Qi Kou with the consequence that the village conveys an impression of what Chongqing would have been like in the distant past. It is a small ancient town and was a busy commercial dock in Min and Qing Dynasties. 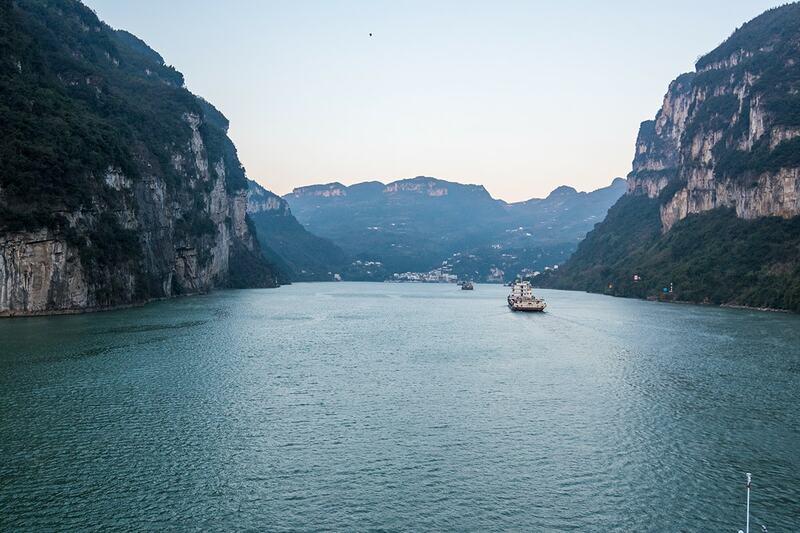 On arrival you will be transferred to the port to board your Yangtze River Cruise ship and begin your memorable 3-night cruise down the Yangtze River. 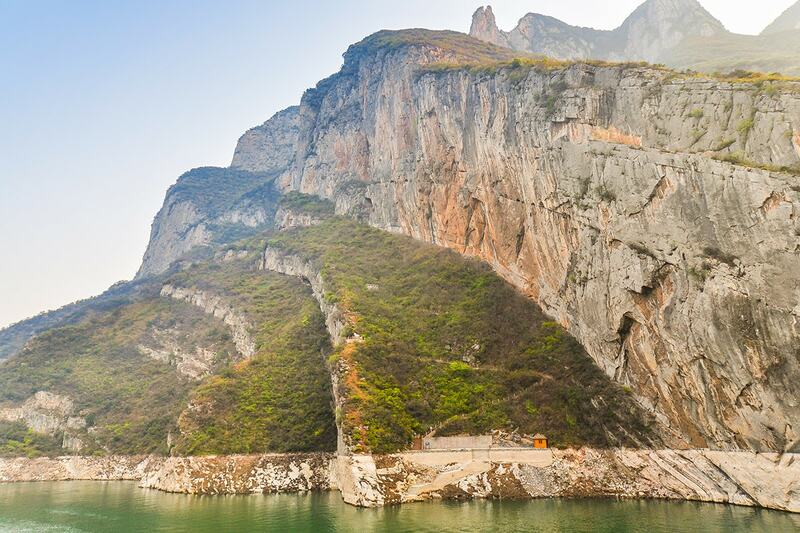 Enjoy a magical day cruising the scenic Yangtze River on board your luxury ship. Optional Tour (additional cost applies): Fengdu Ghost City – Undertake a shore excursion to the Fengdu Ghost City to see why it’s regarded as the “City of Ghosts”. The temples built on Ming Mountain depict the punish instruments and demon paintings, demonstrating the Chinese people’s imagination of hell. You may also want to visit the legendary Shibaozhai. The site has a history of over 400 years when it was built into the side of a 200 metre tall hill. The striking 9 story red pagoda was built in 1819 to make it easier for people to reach the Buddhist temple at the very top of the hill. After, return to the ship and continue to pass through the mountains of Eastern Sichuan as your luxury vessel meanders along the Yangtze. Optional Tour (additional cost applies): White Emperor City, an ancient temple that is located atop Baidi Mountain on the northern bank of the Yangtze River in Fengjie County. In the afternoon you will enjoy a Boat excursion to Shennong Stream. The stream flows through 3 beautiful gorges including the Mianzhu Gorge, Parrot Gorge and Longcangdong Gorge. Each gorge is renowned for its unique and stunning scenery. The Shennong Stream is also home to the Hanging Coffins – which are ancient coffins containing the remains of descendents of the Tujia people. Along the Yangtze River you will appreciate the beauty of the Qutang Gorge and Wu Gorge and visit the ancient plank road, Mengliang Stairway and the Hanging Coffins. Optional Tour (additional cost applies): Three Gorges Dam Site – The dam is one of the largest construction projects undertaken by mankind and the biggest hydropower project in the world. 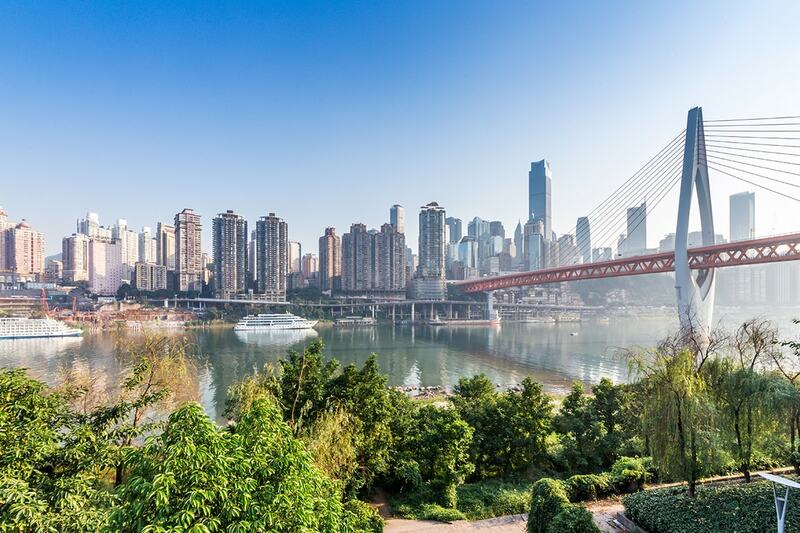 In the afternoon you will disembark the cruise and transferred from Yichang to Shanghai by flight and welcomed to Shanghai, China! On arrival, be transferred to your hotel before dinner this evening. Today you will discover China’s largest financial and commercial centre, visit the Shanghai Nanjing walking district and explore the Shanghai Museum to learn more of the local culture and history. Visit the Bund by the Huangpu River and experience the city where the old meets the new. Optional Tour (additional cost applies): Huangpu River Cruise – Cruise along the Huangpu River, past many of Shanghai’s famous sites such as the People’s Hero Monuments, the Bund, the Oriental Pearl Tower, the bustling International Passenger Station of Shanghai Harbour, the docks, the Wu Song ancient gun fort relics and the impressive skyline of the Pu Dong business district. This morning is free to enjoy the bustling city of Shanghai! You may choose to explore this metropolitan at your own pace. Optional Tour (additional cost applies): Ancient Water Town – The town, known as “the Venice of Shanghai”, is a well-preserved ancient water town in modern Shanghai. With a history of over 1700 years, it is typical of a country environment of southeast China. There are hundreds of gardens here that were established in the Ming and Qing dynasties. 15 rivers divide the town into 7 islands, with 49 historic bridges connecting the islands together. Today at the appropriate time will be transferred to the airport to board your homeward flight. We hope you have enjoyed and unforgettable journey! Optional Tour (additional cost applies): Jump in a rickshaw and enjoy a tour through the ancient and traditional Hutong neighbourhoods of Beijing. These rapidly disappearing neighbourhoods offer a glimpse into Beijing’s past and as part of this tour, you will visit a local family for lunch before shopping in the Beijing Wangfujing Walking District and Beijing Flea Market. Optional Tour (additional cost applies): Tang Dynasty Dance Performance – The Tang Dynasty Music and Dance Show, a wonderful performance of the ancient music and dance, is a must when you visit Xian. The show is an outstanding exponent of this ancient stable and prosperous society, keeping alive its splendid culture and providing an insight into the peaceful life style of the period. Today we begin with a visit to the Wild Goose Pagoda. The temple was originally used by a large team of scholars to translate the Buddhism Scriptures into Chinese and subsequently became a holy place for pilgrims. We then continue on to the Provincial Museum, which documents China’s archaeological finds which date as far back as the Neolithic Age (20,000 years ago). It is then on to the Ancient City Wall. 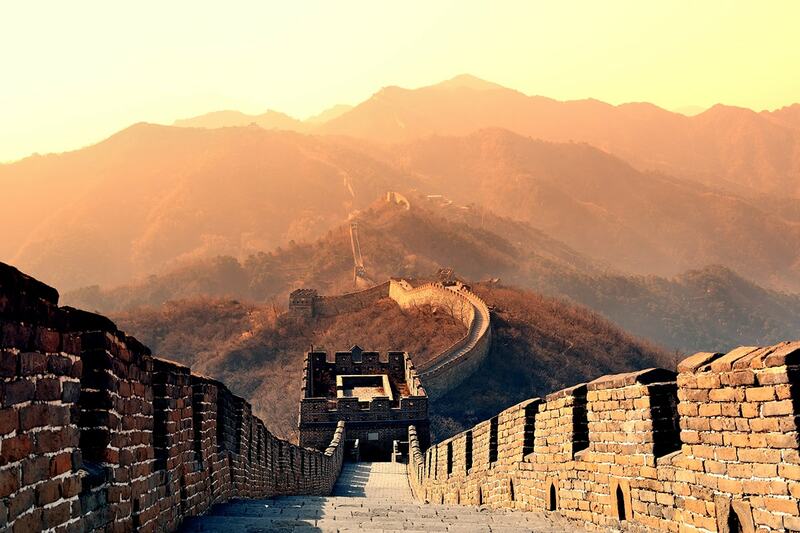 Built in 194 BC it is the oldest and best preserved ancient city wall in all of China. It was built under the rule of the Hongwu Emperor as a military defense system. It exhibits the complete features of the rampart architecture of feudal society. Later, we board the ultra-modern bullet train to the Sichuan capital, Chengdu. On arrival you are met and transferred to your hotel where the evening is at leisure. Today, undertake an optional shore excursion to the Fengdu Ghost City to see why it’s regarded as the “City of Ghosts”. The temples built on Ming Mountain depict the punish instruments and demon paintings, demonstrating the Chinese people’s imagination of hell. You will also visit the legendary Shibaozhai. The site has a history of over 400 years when it was built into the side of a 200 metre tall hill. The striking 9 story red pagoda was built in 1819 to make it easier for people to reach the Buddhist temple at the very top of the hill. After, return to the ship and continue to pass through the mountains of Eastern Sichuan as your luxury vessel meanders along the Yangtze. Enjoy an optioanl shore excursion to the White Emperor City, an ancient temple that is located atop Baidi Mountain on the northern bank of the Yangtze River in Fengjie County. In the afternoon you will enjoy a Boat excursion to Shennong Stream. The stream flows through 3 beautiful gorges including the Mianzhu Gorge, Parrot Gorge and Longcangdong Gorge. Each gorge is renowned for its unique and stunning scenery. The Shennong Stream is also home to the Hanging Coffins – which are ancient coffins containing the remains of descendents of the Tujia people. Along the Yangtze River you will appreciate the beauty of the Qutang Gorge and Wu Gorge and visit the ancient plank road, Mengliang Stairway and the Hanging Coffins. Enjoy a magical day cruising the scenic Yangtze River on board your luxury ship. Visit the Three Gorges Dam Site – The dam is one of the largest construction projects undertaken by mankind and the biggest hydropower project in the world. Today we visit a Ancient Water Town. The town, known as “the Venice of Shanghai”, is a well-preserved ancient water town in modern Shanghai. With a history of over 1700 years, it is typical of a country environment of southeast China. There are hundreds of gardens here that were established in the Ming and Qing dynasties. 15 rivers divide the town into 7 islands, with 49 historic bridges connecting the islands together. After, jump in a rickshaw and enjoy a tour through the ancient and traditional Hutong neighbourhoods of Beijing. These rapidly disappearing neighbourhoods offer a glimpse into Beijing’s past and as part of this tour, you will visit a local family for lunch before shopping in the Beijing Wangfujing Walking District and Beijing Flea Market. Tonight, enjoy ‘The Legend of Kung Fu’ show. If you want to explore the real Chinese Martial Arts & culture, You can’t miss a great Kung Fu show – The legend of Kung Fu at Red Theatre Beijing. A high level performance with the wonderful story layout, perfect stage design, professional martial arts actors, and the real Kung fu actions and scenes. It’s truly unforgettable experience in China. Today, undertake an optional a shore excursion to the Fengdu Ghost City to see why it’s regarded as the “City of Ghosts”. The temples built on Ming Mountain depict the punish instruments and demon paintings, demonstrating the Chinese people’s imagination of hell. You will also visit the legendary Shibaozhai. The site has a history of over 400 years when it was built into the side of a 200 metre tall hill. The striking 9 story red pagoda was built in 1819 to make it easier for people to reach the Buddhist temple at the very top of the hill. After, return to the ship and continue to pass through the mountains of Eastern Sichuan as your luxury vessel meanders along the Yangtze. Enjoy an optional shore excursion to the White Emperor City, an ancient temple that is located atop Baidi Mountain on the northern bank of the Yangtze River in Fengjie County. In the afternoon you will enjoy a Boat excursion to Shennong Stream. The stream flows through 3 beautiful gorges including the Mianzhu Gorge, Parrot Gorge and Longcangdong Gorge. Each gorge is renowned for its unique and stunning scenery. The Shennong Stream is also home to the Hanging Coffins – which are ancient coffins containing the remains of descendents of the Tujia people. Along the Yangtze River you will appreciate the beauty of the Qutang Gorge and Wu Gorge and visit the ancient plank road, Mengliang Stairway and the Hanging Coffins. Tonight, farewell Shanghai with a cruise along the Huangpu River. 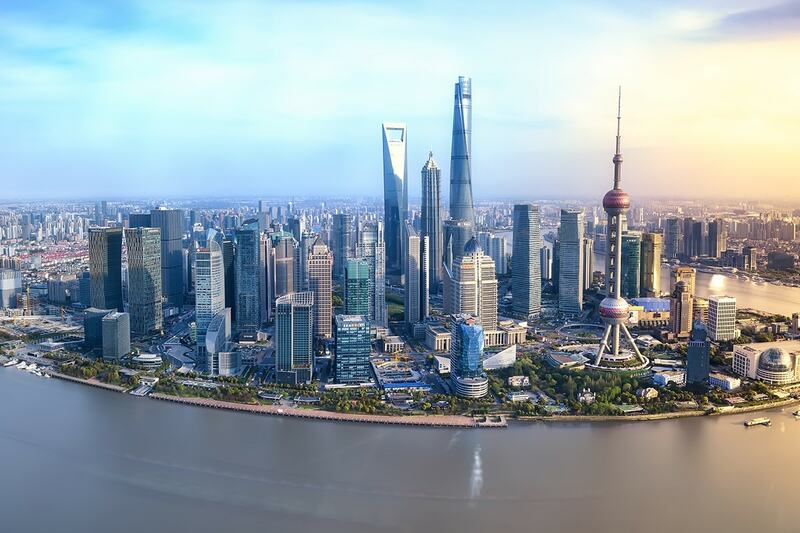 Past many of Shanghai’s famous sites such as the People’s Hero Monuments, the Bund, the Oriental Pearl Tower, the bustling International Passenger Station of Shanghai Harbour, the docks, the Wu Song ancient gun fort relics and the impressive skyline of the Pu Dong business district. Today we visit an Ancient Water Town. The town, known as “the Venice of Shanghai”, is a well-preserved ancient water town in modern Shanghai. With a history of over 1700 years, it is typical of a country environment of southeast China. There are hundreds of gardens here that were established in the Ming and Qing dynasties. 15 rivers divide the town into 7 islands, with 49 historic bridges connecting the islands together. 2nd Instalment: $1350 per person is due 210 days prior to your travel date. If you book within 210 days of travel, you will be sent a final invoice within 7 days. Once this payment is made, no cancellations or amendments are permitted and all prior payments become strictly non-refundable. If you book within 210 days of travel, you will be sent an invoice within 7 days. Essential: $899 per person in addition to the twin share price. Classic: $999 per person in addition to the twin share price. Signature: $1249 per person in addition to the twin share price. Three scenic Excursions $170 per person Embark on three spectacular excursion in one convenient package! Please note not all dates are available on each travel style. Available dates may differ between Essential and Classic. Please refer to the availability calendar for accurate availability. PLEASE NOTE: No flight requests/quotes/upgrades will be actioned until your 2nd payment instalment has been made. At this time you will be contact by our operator in relation to your request. Payment of the breakaway fee and any applicable fare and tax difference is to be paid directly to our operator at the time of quotation. If you wish to extend your trip, a $200 per person breakaway charge will apply (subject to availability and applicable fare difference). Your stay behind request must be submitted when completing your booking form. Only the return date can be altered. PLEASE NOTE: No staybehind will be actioned until your 2nd payment instalment is made. If you wish to alter or extend your trip, please purchase your voucher first and submit a request on your booking form. Webjet Exclusives will then provide quotations for any alterations or extensions. Should you wish to proceed any additional charges will be collected. However if you are unhappy with the options a full refund of the voucher will be provided. PLEASE NOTE: No extension request will be actioned until your 2nd payment instalment is made.